Did you know there’s a major problem lurking within the innards of your HVAC system? There is. It’s big, flat, and dirty. And the dirtier it gets, the greater your risk of equipment failure. Everybody’s got this problem, and some people deal with it the right way. But other people… well. They simply forget about it. Then their AC quits working on the hottest day of the year. And it’s probably getting dirty this very minute! If you can’t remember the last time you changed your air filter, it’s probably dirtier than it ought to be. Go change it now. We’ll wait. Ok, welcome back. Congrats on changing your air filter. You may have just saved your HVAC system from an extremely inconvenient and irritating malfunction. Why are dirty air filters such a big problem? Imagine you’re teacher and you’re trying to grade some exams after class. You’ve just gotten started when a student shows up at your door. He’s got a question. You step away from your grading and help him. After addressing his concern, you get back to grading. A few minutes go by. Two more students show up. They’ve got questions, too. You stop grading so you can help them. Then, just as you’re ready to start on the exams again, two more students show up. Then two more students. Then five students. Pretty soon, you’ve got a line of kids in need of your attention. You’re trying to do some grading here and there, but you’re just not able to give the exams the attention they deserve. Exasperated and overwhelmed, you give up on the exams. You’ll have to grade them another day. This situation is similar to what happens to your air conditioner when you have a dirty air filter. As more students dust, debris, and gunk piles up on the filter, the air conditioner’s ability to perform its duty is diminished. If you let the filter get too dirty, your air conditioner can’t cool your home anymore. Exasperated and overwhelmed, it gives up and stops cooling. You’ll have to change your air filter. Ice ice, baby! That’s what you’ll see when your filter gets too dirty. So a dirty air filter puts a lot of pressure on your AC and the system eventually gives up. Fine. But what’s really going on inside the AC? Why does a dirty filter make it stop cooling? Simply put, the air conditioner freezes. There will literally be ice on the outdoor and indoor coils. When your filter gets really dirty, you starve the system of air. Since so little indoor air is cycling through the system, there’s not much heat to transfer to the refrigerant. The result? The refrigerant stays much colder than it should. Any moisture on the coil – and there usually is some – will turn to ice. If enough ice collects on your AC for a long enough period of time, it can damage system components. The repairs will much more expensive than simply buying another air filter! Good news: Changing your air filter might be the easiest HVAC maintenance task you ever perform. Sure, it might mean climbing up in your attic on a hot afternoon or donning a headlamp and venturing into your crawlspace on a wet, muggy evening. But besides a few fleeting moments of wishing you were elsewhere, changing your air filter is a snap! There are all sorts of air filters out there, so be sure to follow the manufacturer’s instructions for replacing it. If it’s a 90-day filter, change it every 90 days. If you only need to change it once or twice per year, change it once or twice per year. If it’s a washable filter, wash it out. And so on. If you simply don’t trust yourself to remember to change your air filter (we’re not judging, so don’t worry! 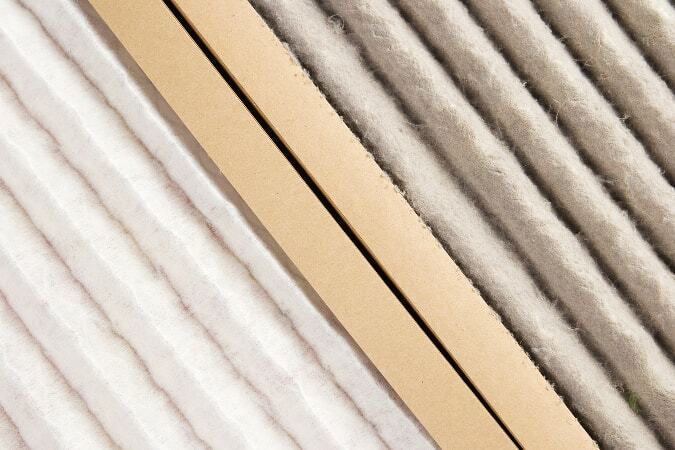 ), see if your HVAC company includes filter changes as part of their service package. At PV, we make it easy for clients with service agreements to upgrade to a media filter, which doesn’t have to be changed as often as a standard, 1” filter. We’ll also change it for you during regular maintenance visits, so you don’t have to. Your air filter is an important tool for ensuring great indoor air quality. But if you don’t replace it or clean it on a regular basis, it can also create serious HVAC problems. So remember to keep your filter clean. If you do, that nasty problem festering inside your air conditioning system might never become a problem at all. What Got Overlooked on Your Load Calculation? You’ve Got Your Manual J Results. Now What?